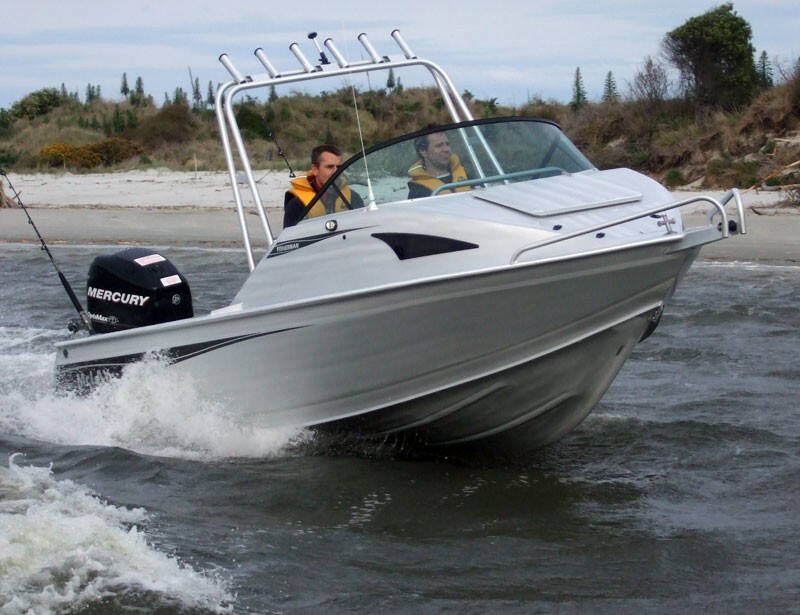 New Zealand is well known for its nautical prowess, and this runs into exports of a particular kind of boat, designed and manufactured right here in Milton NZ, and sought around the globe. Steve McLay, managing director of McLay Boats Ltd and boat builder of 31 years, explains how these unique aluminium fishing and trailer boats have become so aspirational. “Going back 20 years, we were sending boat building kit sets to Australia,” says Steve. “But in the last 10 years, we started exporting fully finished boats in response to demand from dealers in Australia. They’ve since grown their dealer network to five Australian dealers, and also send boats to New Caledonia and as far away as Sweden. McLays are expecting to steadily increase exports from the current 40% per year, as and when they are able to increase staff. “Our facility here does have some capacity for growth, but getting good staff is quite challenging – you can only grow as quick as you can get good staff on board. Milton is a small place, but we do have staff travel out from Dunedin and Balclutha. “We have a good market in NZ and we don’t want to start having to be detrimental to that market for the sake of export,” says Steve. “We will grow the markets we’re in for the next year or two. We’ve just changed the Sydney dealer – if the new one can get more traction, that alone will be a few more container loads per year. 1. Check out the market very well, and be aware that just because your product is well accepted in New Zealand, doesn’t mean it’s what’s required in even our neighbouring Australia. For example, we’ve had to redesign our boats to suit the Australian market. If we didn’t do that, we wouldn’t be successful in exporting. 2. Use feedback from dealers and customers. Also make sure you’re building in line with the regulations of the country. Regardless of what product you’re in, you need to make sure it can be legally sold in the country you want to export to.